Ellen was absolutely wonderful to be with. Our time was totally enjoyable, she was fun to be with, had laughs and was a lot of fun. She was very professional, gave what I consider sound advice on several topics. She gave me feedback on every topic that I could think of and came prepared with some photos and examples of things she thought might work for me. After going through my wardrobe, we came up with a short list of things to expand and “update” my overall selections. We had a blast shopping. She got me out of my comfort zone a little, had me try on some things I would have likely never tried and had me in the change room for an hour. I did wind up purchasing almost every new item on our list and I’m VERY pleased with all of it. She is a great asset to your program and most helpful of any of the previous contacts. She was a delight. I just had a great session with Ellen. While I was not looking forward to the wardrobe portion of the journey, I must say it was both enjoyable and informative. She is excellent at what she does. She has definitely made an impact on how I will dress from now on. The session was very helpful and fun. Ellen was very professional. I initially thought that having someone inspect my closet would be a very awkward situation, however she made me feel very comfortable with her professional demeanor. She even had a way, which allowed me to open my mind to trying new clothes. She was respectful of my opinions yet pushed me a bit into things I would not have purchased. I have since worn things that were a bit out of my comfort zone but I have received great complements on my new outfits. Great job. Good morning! I called on Saturday on my way home from my Part II with Ellen. Wow. It was amazing! I got lots of great clothes and we had a blast! When I got to Dillard’s, Ellen was there and already had several outfits picked out. We spent over two hours looking for clothes and trying them on. She gives great positive feedback and made me laugh but mostly made me feel beautiful again. I loved every minute. I never felt overweight or ugly even when trying on leggings and jeans and other things out of my comfort zone. I tried some new things and got lots of great items! I have everything from some great pairs of jeans, super cool jackets that can go from casual to dressy and a spectacular knock your socks off red dress, that she would not let me leave at the store without! I loved every minute of our time together, and I know I walked out of that store two inches taller in pride and self-confidence. 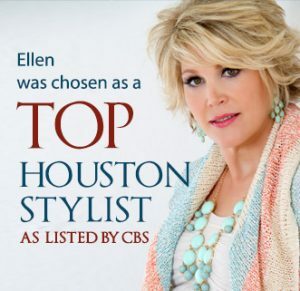 I am recommending Ellen to several of my friends and I know we will continue to pursue all her recommendations. My session with Ellen was phenomenal & she has such a great approach to the whole wardrobe makeover. She is very friendly, professional, objective, & not pushy with her opinions. She also was excellent at explaining the types of clothes, shoes, & accessories that will work well for my body type. Her organizational skills are fantastic…. I thought I had a pretty organized closet; however, she helped make my closet so much more functional. I was beyond impressed. I also like that she worked first with the clothes that I already own & gave me ideas of what to wear on a first date before we even hit the mall. Ellen also provided me with a wardrobe check list and had great ideas of items that would pull my wardrobe together with a flare. I had a date right after work, so I wore the orange blouse, striped blazer, slim black slacks and the new shoes. I’ve had a lot of compliments! One lady even said, “Look at you! You’ve been looking cute these days.” Sure helps with my confidence. Thanks so much!! Yesterday Ellen and I had an awesome time. She gave me wonderful insight into the wardrobe I already have and then the shopping was a great experience. I splurged on myself like I have never done before. I feel great. Ellen helped me look at my closet in a new light. She had me try things on for fit, condition and style. She advised, gently, if I should keep certain things or discard. It actually was pain free. Being the clothes horse I am, I was out of control. Now, I am not just shopping for random pieces. I know what I need in my wardrobe and won’t buy it unless it’s going to go with at least 3 other things I already own. After Ellen organized my closet like the professional she is, she then pointed out the areas I was weak in and the strengths of the wardrobe and where not to add new items, etc. My closet was such a jumbled mess that I really didn’t know what I had, much less where my wardrobe lacked. Having to dress for work each day was a chore because I could not find anything. Now, it’s actually a pleasure. I’m inviting friends over just to see my closet. I can put outfits together very fast and Ellen showed me several time saving tips and style tips to enhance this process. It’s fun now to go to the closet each morning and “play dress up”. The image in my head of “before” is long gone and I continually call Ellen to tell her something new I’ve discovered in my professionally organized closet. She is an amazing workhorse. It took us both 7 hours (ladies – that’s 14 total) and she would not quit until we were finished. It’s the best decision I’ve made in years and it is paying off daily. It actually is paying off hourly as I can dress and get out of the house in a much faster time frame. THANKS, ELLEN. I’ll continue to keep you posted of all of the discoveries I am now able to uncover – since the clutter and unworn clothes are gone. My makeover experience was one filled with many emotions. It was overwhelming at first, because although most of the things Ellen told me I already knew, the prospect of change seemed unattainable. After meeting with her, I was blessed to begin finding some of the wardrobe staples that she had recommended. As I began to dress in attire that better suited my body, I also began to feel better about myself. I realized that I did not have to look like the frazzled, worn out mom all the time. With only a few extra minutes a day, I can leave my house looking like I care about myself. Although it may have started as series of sweaters and accessories, my experience has helped me to change my opinion of myself. I am worth a few extra minutes a day. I can only imagine that my feelings about myself will begin to transform as the outside has. This makeover experience may have begun on the outside, but has also begun an internal makeover that will help heal many years of hurt. Dear Ellen: This special week-end maybe very difficult for you and your family and please know that I have been praying for you all week. On Sunday morning after services I was visiting with a friend who is a teacher and one of our teens came up to visit the teacher. I told the teen,” Miss Ellen would be so proud of you, You are beautiful and being the best you, You can Be.” The teacher agreed with me. This teen has never worn anything but jeans to church, she had on a white organdy sundress with a flocked pattern. She was wearing a little black sweater and her shoes were a ballerina slippers with a sole, that had sparkles on them. She was just beautiful. Ellen, your ministry is making a difference in our church…thank you. May God bless and strengthen you and your family, you are blest and you are a blessing. Happy Easter…He is Risen!!!!! Thank you so much for all your time and wonderful fashion advice, and especially your patience!! I couldn’t believe that you were still here at 1pm!! The ladies raved about the session and want you to come back next year! Need a fashion make-over? Want to know how to revamp what is already in your closet? 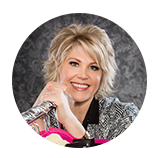 Contact the awesome Ellen Caldwell-Ng — she put some fabulous outfits together for me with things I already owned! I had some items I was thinking about giving away, haven’t worn in a while and Ellen showed me how to piece it all together! We had so much fun playing dress-up in my closet (and those that know me, know I can’t be bothered with clothes)..thatnks Ellen for igniting the fashion spark. Didn’t have to buy any new clothing – I did buy some shoes — which had my husband laughing hysterically as he said, “Of course you needed more shoes Ms. Imelda Macros”. I had fun talking with Ellen on our first meeting. We made a huge shopping list of items to look for when we go shopping which will be this Saturday. I’m really looking forward to that experience. She rearranged my closet to maximize the use of the space. I’ll let you know how my shopping spree goes on Saturday! I had my second appointment with Ellen. It was a blast! She already had some outfits pulled for me and then we went out into the store to grab more. I love shopping! She showed me what to look for that would work best with my body shape. I fell in love with clothes that I would not have chosen if I went by myself. Now I know to think outside the box a little and try it on. You never know what will look good. It was a great experience! You can never have too many shoes! This whole Meet the Perfect You process has been a wonderful eye opening experience. I’m glad I took the chance and did it! Thanks so much for the help yesterday! I love the outfits that you created for me – I am wearing the white vest suit outfit today and have gotten stopped by strangers complimenting my outfit! And it’s only 10am!! Can you send the pix so I can remember all the details? See you in October! Thank you, Ellen. I LOVED working with you. You were so easy and fun to be with and so helpful with all your tips and good advice. Definitely added to my lacking dressing confidence with so many good tips you gave me. Loved working with you.